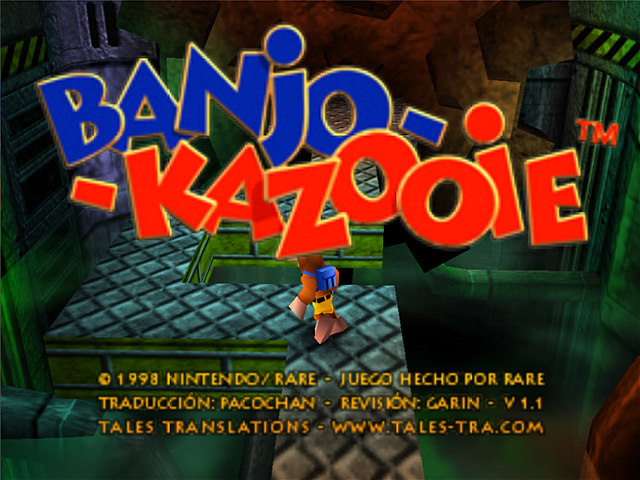 Banjo-Kazooie is the most popular “collectathon” game. At first glance, it feels like a Super Mario 64 ripoff. While you’d be correct, this is only so at the surface level. If you want to get anywhere in this game, you basically need to collect everything in this game. 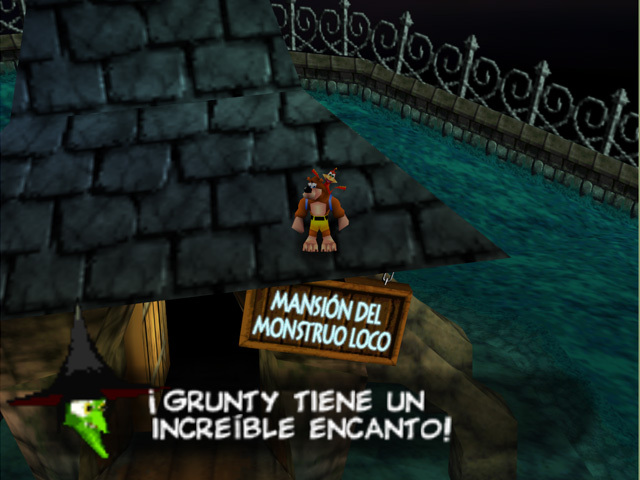 The point of the game is to lead Banjo (a bear) and Kazooie (a bird) to Gruntilda’s lair in order to rescue Banjo’s sister, who is in danger of having her beauty stolen. Everything about the game is bright and cheery. Controls are responsive. Camera is alright, about as well as Super Mario 64. Story is nonsensical and only gives you just enough motivation to play. Sound is cheery and doesn’t get too annoying (until you turn the game off and you keep hearing all of it). 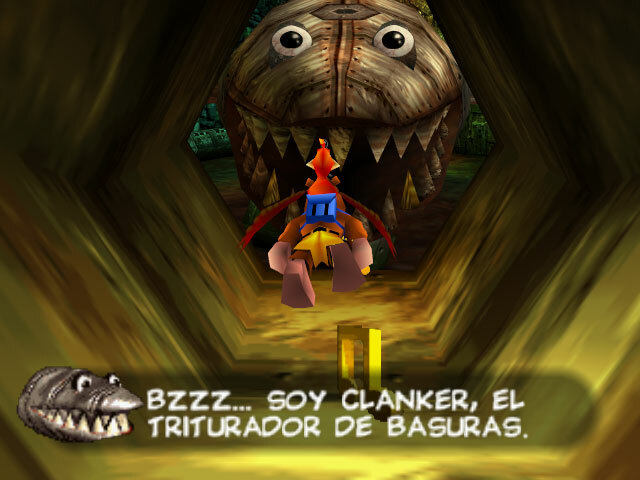 Graphics are a bit better than your standard N64 game. 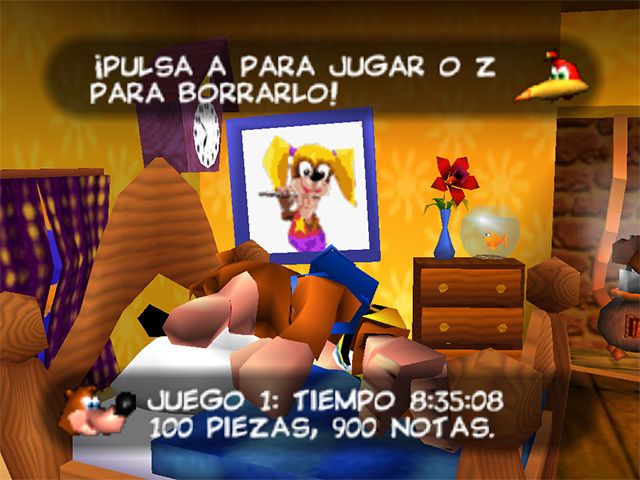 I recommend this game to those who like collecting things and feel right at home in a bright, cheerful environment. If you don’t want to spend hours making maps or looking up maps, don’t play it. Those last notes will torment you forever. 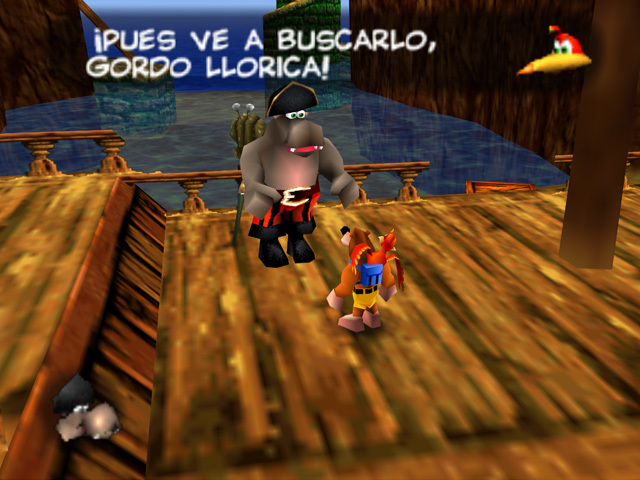 Spanish translation of this fantastic game. Compatible with the European version. Official site, Blog news & shots. Changes in version 1.1: Menus translated. All the technical issues that prevented the menus from editing were resolved. Some corrections to some dialogues and improved some rhymes. Language selection menu removed.